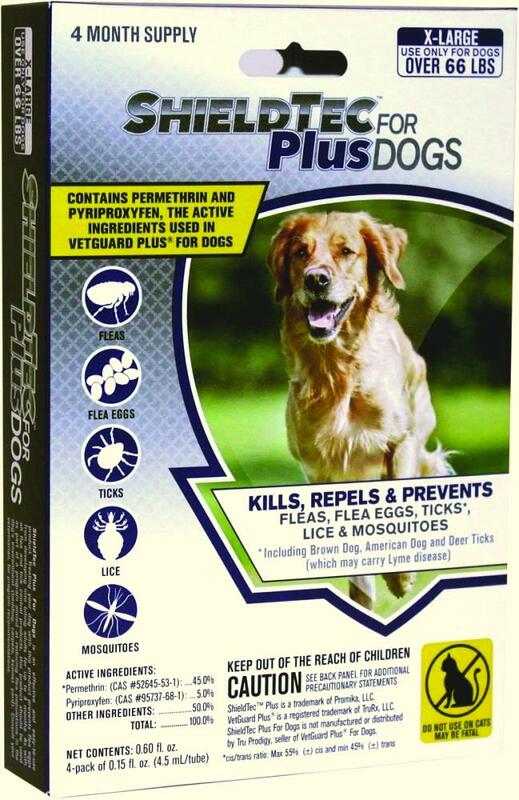 ShieldTec Plus for Dogs provides complete flea and tick control. 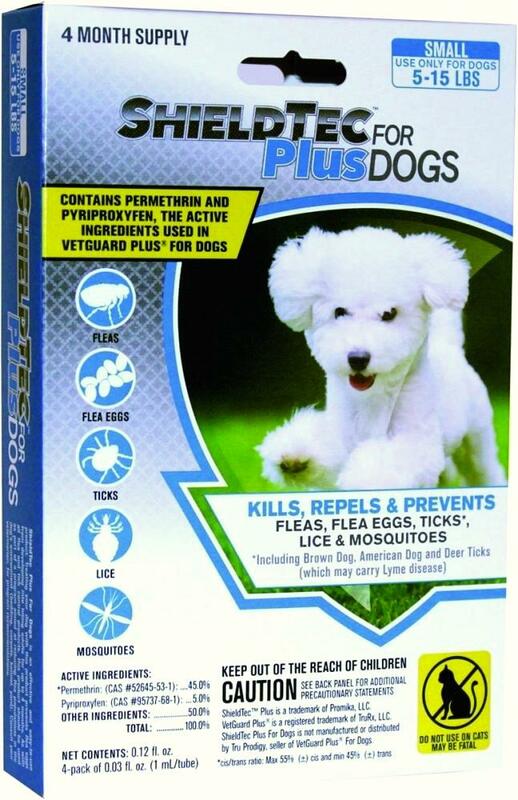 Dual active ingredients control fleas and ticks, as well as kill and repel mosquitoes. ShieldTec Plus for Dogs can be applied to dogs and puppies over 12 weeks who weigh at least 5 lbs. 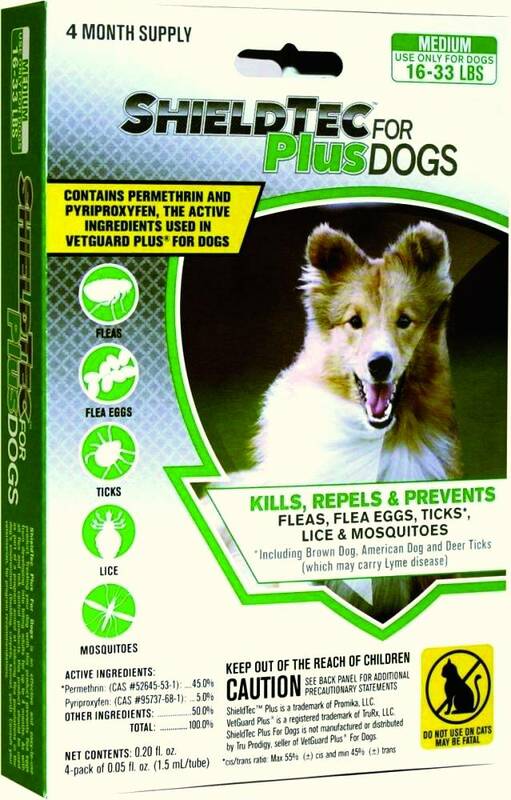 ShieldTec Plus for Dogs is manufactured and packaged in the United States. Remove one applicator tube from package. Hold the tube with the narrow end pointing up. Hold the tube away from you and your dog’s eyes and snap the applicator tip at the notch to open. Part dog’s hair with the tubs and apply solution in tube to the skin in three different locations on the dog’s back between the shoulder blades and base of the tail. 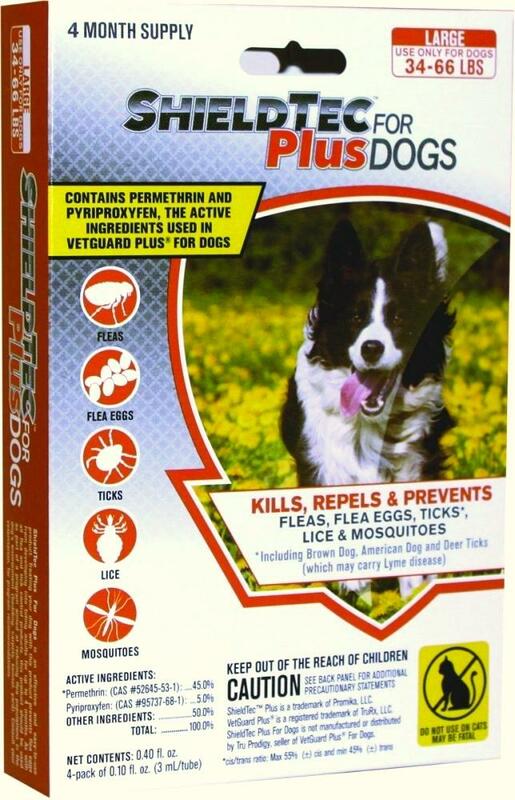 ShieldTec Plus for Dogs contains permethrin and the insect growth regulator pyriproxyfen.